Little Petroglyph Canyon, China Lake. Sixty-two ASA members and guests went on this trip on May 9, 1965 (Layton, 1965; Redtfeldt, 1965/1984a). 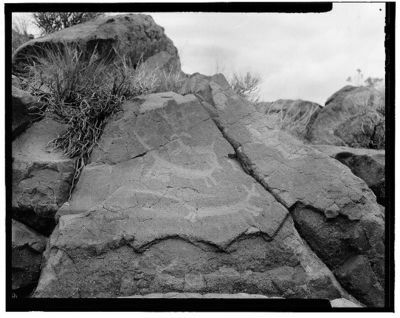 Photographs of many outstanding petroglyphs of sheep, anthropomorphic figures, and geometric designs.